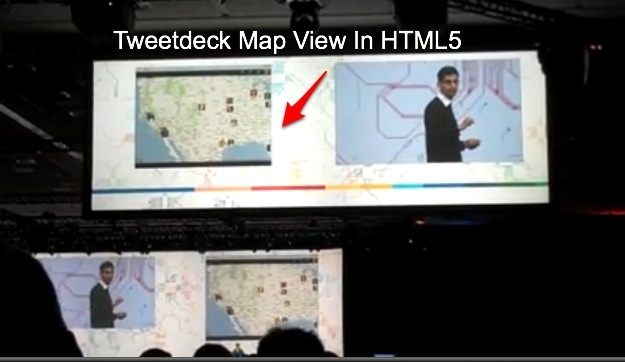 Today, during Google I/O, for about a minute on the stage screen there was a sneak peek at an HTML5 browser version of TweetDeck, the popular stream reader. 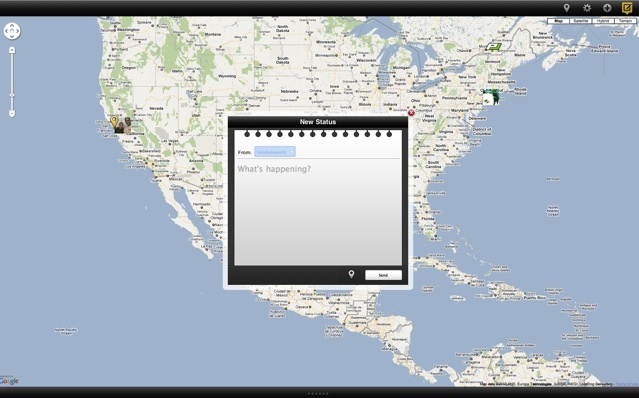 In the video below shot by TweetDeck CEO Iain Dodsworth, some of the features of this internal research project are shown starting at about the 27-second mark. 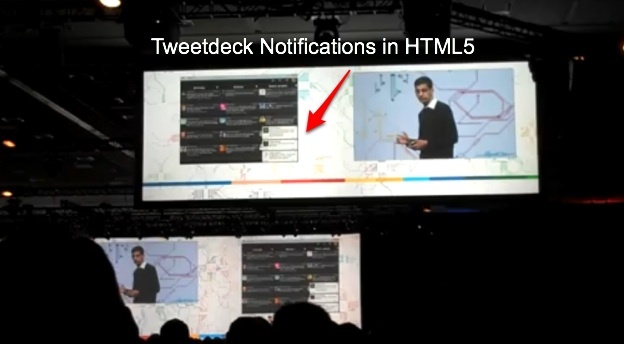 This version of TweetDeck has not been released yet, and won’t be for another few months, says Dodsworth, and only if “we can get a feature complete HTML5 TweetDeck—looking good so far.” The features highlighted in the video include pop-up notifications when new Tweets come in, which is a signature feature of TweetDeck’s AIR desktop client, and geo-Tweets shown on a map. There were hints that TweetDeck was working on an HTML5 version when the company released its mobile browser version last week. 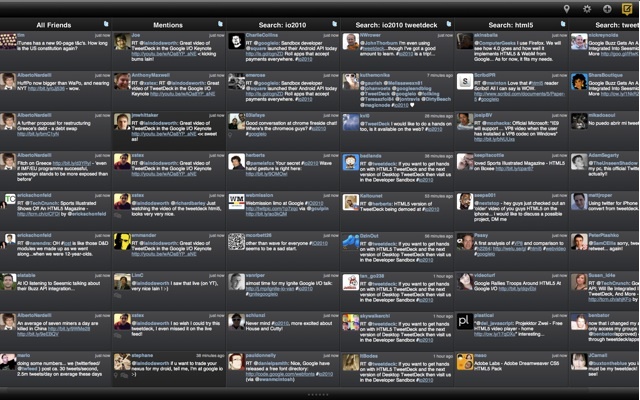 By the time TweetDeck does come out with a full Web app, it will probably include not just Twitter and Facebook streams, but Google Buzz as well.